Halleluja…. I have found a gym!!!! After four very sedentary weeks, with my only form of exercise walking to the shops (a mere 200 m) to stock up on fresh food, or have sleeves put into clothes, or indeed buy new clothes, I am beginning to feel like a cabbage! Not a good feeling at all!! I like to be active and I am sure that my size 10 figure I so proudly boasted about at the outset of my adventure, is steadily growing into bigger figures. Maybe I could buy a treadmill or a cycle machine, someone else helpfully (?) hinted. As I can hardly carry it in my suitcase on the way home, was this possibly tinted with the slightest bit of wishful thinking that I might donate it on my departure.. ? Unfortunately, I do not have £300 to spare… A skipping rope could have been another fitting solution, but those are only available from a sports shop in the big town. And to be honest (thank you Stephanie for pointing me in the right direction) do I really need a gym when the internet is laden with aerobics and other exercise videos and I do have internet!!! However, what I want most is to be outside, in the fresh air, with other people and not being cooped up on my own at home, so my quest for a gym continued! And persistence paid off! After first being taken to a money lending/laundering(??) place by my regular tuk-tuk driver -there clearly appear to be many different interpretations of the word gym-, I eventually took matters in my own hands and braved the men-only gym to ask them where the nearest women-friendly place of exercise was to be found. And hallelujah, I have now become the member of a local-ish gym, just 5 km away, and all at the price of £7.50 admin and £4.00 per month for as many sessions as I can fit in. And so today, Saturday, I finally made it to the gym with the necessary adjustments to my attire. No shorts allowed, only Kerala-suitable gym gear for ladies: long tracksuit bottoms, but at least I can get away with a T-shirt and wearing my clean trainers on the treadmill… Well, I have decided not to notice that the other two women in the gym did not bother to get changed and tackled the cardio machines in full churidar and barefoot, although they seemed to spend a lot of time studying the machines rather than being on them. I threw caution to the wind and ignored all advice from well meaning colleagues that in Kerala Wednesday is the day to start new things, so making Saturday my first day at the gym was very brazen indeed. Not that anyone has been able to explain why Wednesday would be any different from Saturday, but at least I avoided Monday, because that would have spelled real disaster. So, is it coincidence that today of all days the internet is playing up and I only have intermittent service…. Oh, boy, have I missed running, even though I was only allowed just ten minutes on the treadmill, it felt sooo good to work up a real dripping sweat from actually moving body and limbs, rather than from sitting in a stuffy room where only a fan whirring full blast can cool you down and stop you from melting. All I need to find now is way of spending more time outside in the fresh air without turning into a beetroot…. 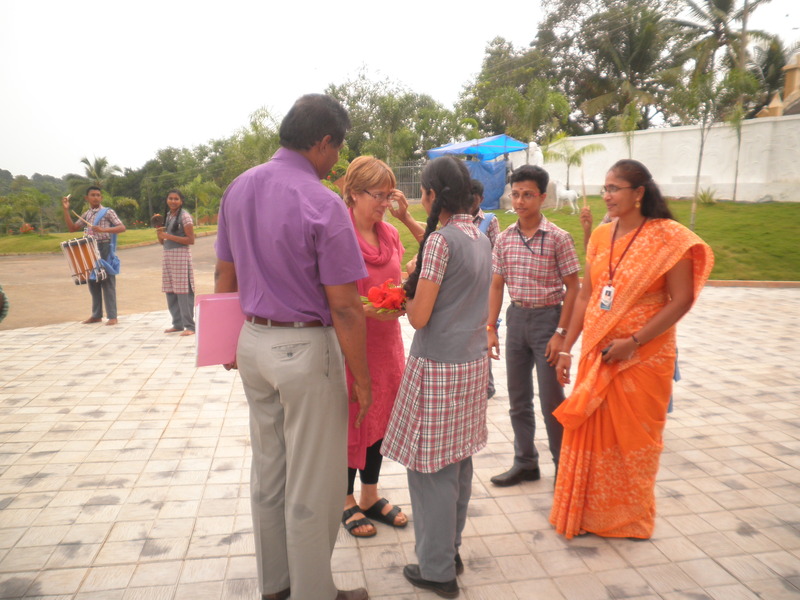 This entry was posted in adult gap year, English Teaching Abroad, India on November 30, 2014 by lievelee. It often reminds me of the Knight Bus in ‘Harry Potter and The Prisoner of Azkaban’ and I wonder whether the inspiration for the film came from watching Indian traffic. Who does not remember Ernie gleefully shouting: ‘Hold on. It’s going to be a bumpy ride’ whilst the Knight Bus squeezes and slaloms through the London rush hour finding gaps where there are non, and shape-shifts to wedge through double-decker buses, cars and lorries alike. Strangely, not that many accidents happen as every driver here understands the rules that govern Indian driving, and Western driving – obeying the road traffic rules – would cause endless problems and traffic jams. Western hesitation at roundabouts and courtesy to other drivers would be alien and profoundly confusing. Drivers here expect other cars to pull out in front of them and roundabouts are a free for all; you do not wait for a space to emerge, but craftily forge your way through the melee of motorbikes, cars, trucks, buses and bicycles and for some bizarre reason it keeps the traffic flowing… And the non-stop hooting of horns is a mere warning to cars and others in front to alert them of your intended overtaking, rather than an angry reprimand for being cut off. It’s all in the interpretation. 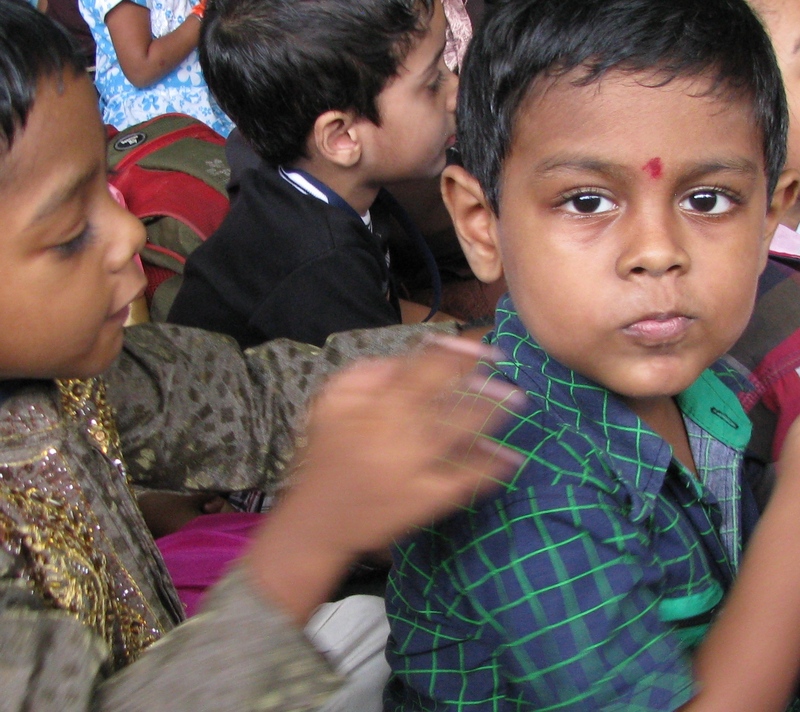 This entry was posted in adult gap year, English Teaching Abroad, India on November 27, 2014 by lievelee. On the art of taking tea. When travelling to India, you come with certain preconceived ideas and the expectation that a country that grows and exports some of the finest teas in the world should have expert brewers of tea was definitely one of mine. So my first cup of tea at the school came as something of a surprise, laced with more sugar than is found in a whole refinery and incredibly milky. Not what I had imagined conjuring up visions of the tantalising taste of Darjeeling on my spoiled Western palate… It seemed a shame to mask the flavour of genuine Indian tea, but I experienced ‘chaya’ (tea as Indians take it): very sweet and with lots of milk. 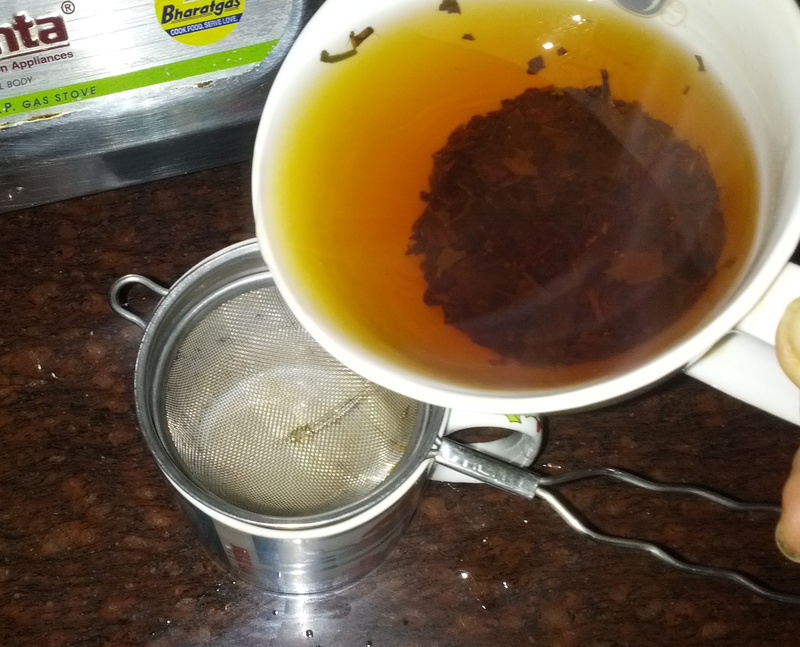 These days I have moved on to ‘taila’ (black tea – you see, I am learning the local lingo!) after explaining to the tea-ladies that sugar and milk in tea do not agree with me. Although they have a special name for tea without milk, leaving out the sugar was another concept altogether and took more persuasion and a few more sugary teas, but we have cracked it now! These days I get ‘taila’ without sugar. I know the English – if ever there were connoisseurs of tea – take their tea with milk, and may well add a splurge of sugar, but coming from the continent, I have never quite developed a liking for that. And then there is the tea making ritual. I still remember the days of being introduced to the tradition of taking afternoon tea at exactly 4 pm: the pot being warmed, the kettle bubbling and boiling water poured on a bed of tea leaves, left to brew for the necessary time before being decanted in proper china tea cups (should the milk go in first or not..? 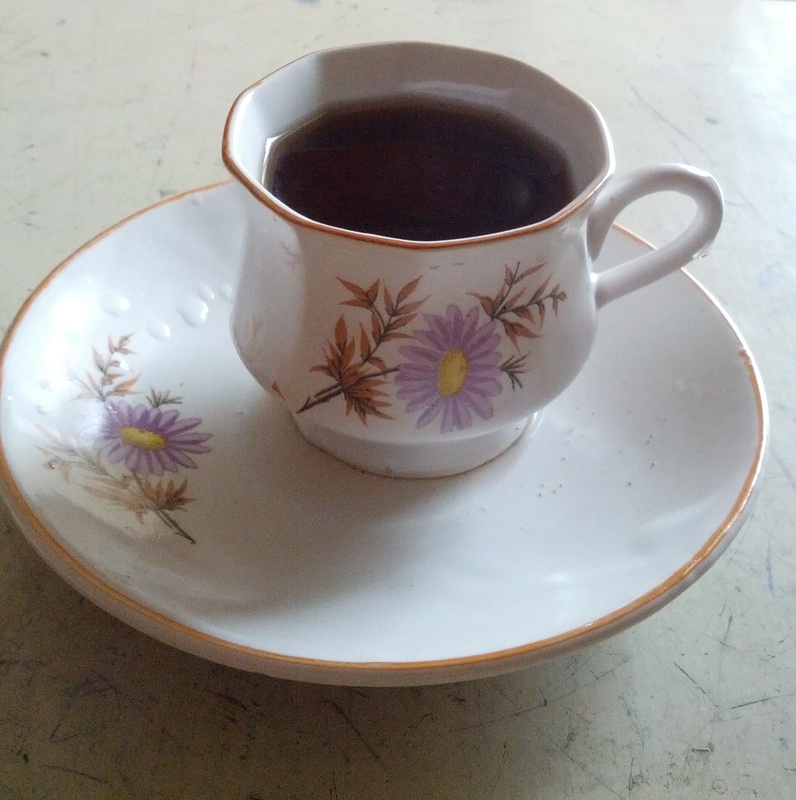 ); mine offered without milk or sugar… It is a tradition that I have carried on for many years and in our home in England tea is still made and served at that time – I learnt from the best: Aunty B.
Rosemary pouring tea in the staff room. 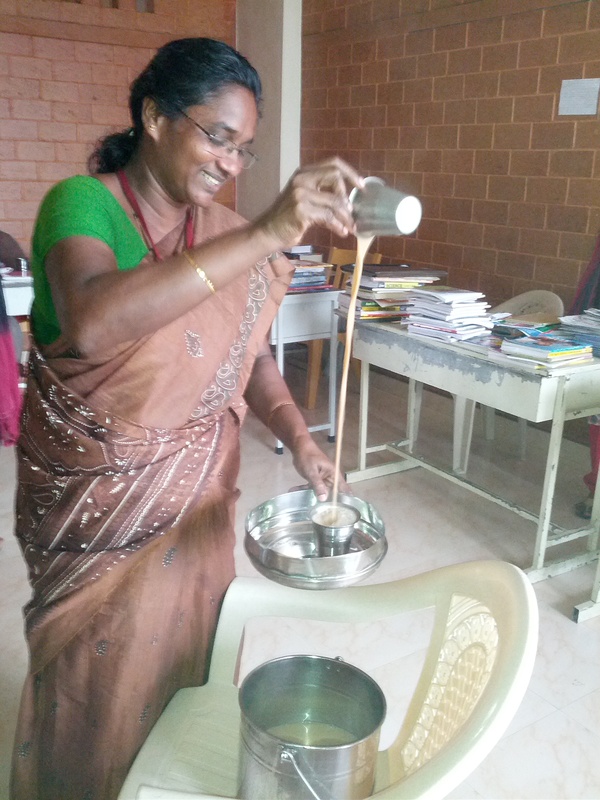 And at school, not only do the tea-ladies go to great lengths to make me a ‘perfect’ cup of tea, I also get my tea in a proper cup with saucer whereas the other teachers are offered their chaya in metal beakers. I am getting used to being the odd one out. 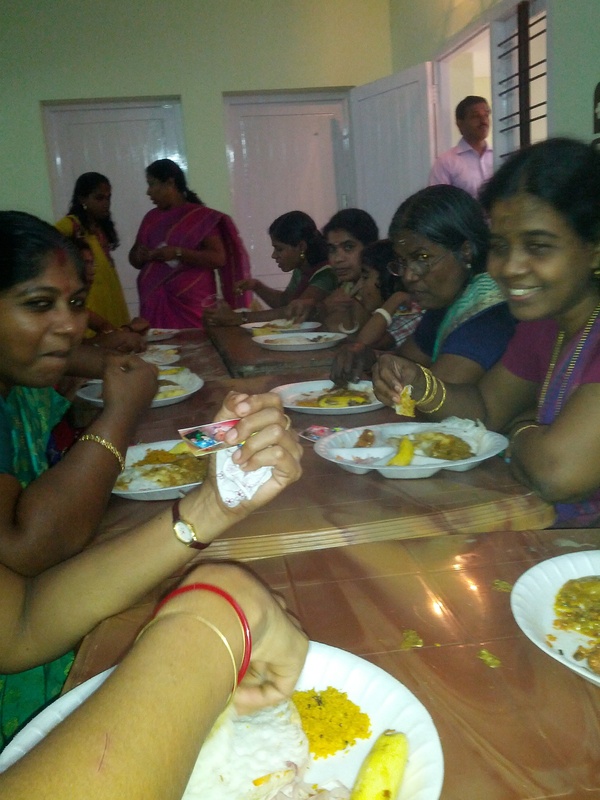 This entry was posted in adult gap year, English Teaching Abroad, India, travel on November 25, 2014 by lievelee. 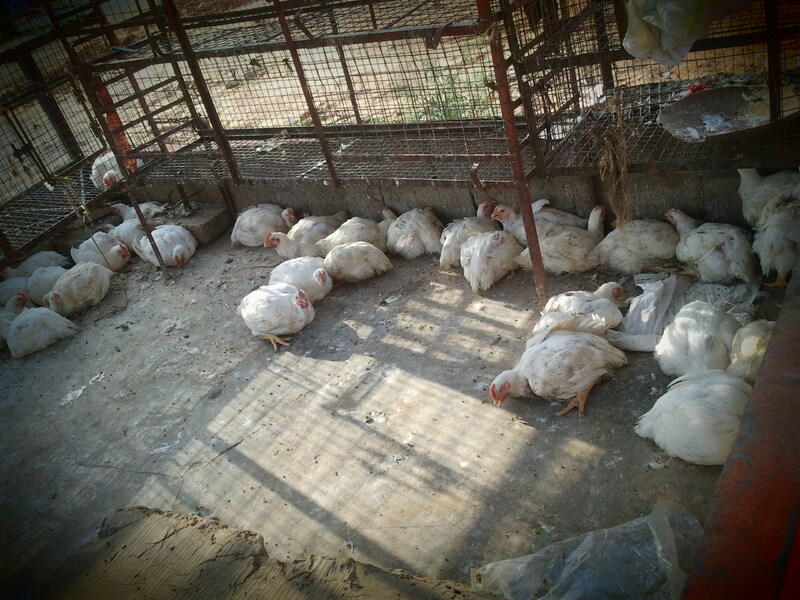 There is something very personal and intimate about choosing your own food, especially when it involves a chicken, fully fledged and very much alive, destined for your curry… I took the plunge this afternoon, and being born a farmer’s daughter, surely I know very well where meat comes from and have witnessed many a chicken coming to its end – and yes the expression ‘walking around like a headless chicken’ is not made up. But the act of selecting the victim is quite something else. On facing the noisy chickens, I hesitated slightly and found it difficult to look them into the eye, so I left the choosing to ‘the doctor’ (Really??? Or just a rather inaccurate translation for ‘man who will kill the chicken’??) with the instruction I wanted a small one. I tried to avoid watching what would happen next but as the price was determined by the live bird, I needed to see it hanging up by its wings – protesting rather loudly – on the weighing scale. I discreetly withdrew from the premises and stood outside keeping my mind filled with other things than the goings-on inside. And the last thing I felt like contemplating was eating this chicken, feeling extremely nauseous at the sound of all the hacking and slashing in the background. A mere ten minutes (if that much) elapsed between the chicken happily clucking away between its companions and the chicken being put in my hands neatly chopped in bite-size pieces ready to be cooked – this is assuming it was the same chicken; as I refused to be witness to the atrocity, I have to rely on the honesty of the ‘doctor’. But at that speed, at least there was not much suffering involved. However, I have now put the chicken right at the bottom of my fridge, where it will stay until it has lost its ‘live’ or room temperature and resembles the shop-bought ones and is properly dead…But I cannot let it go to waste after such a sacrifice!! May its soul rest in peace and its flesh be tasty in my curry. This entry was posted in adult gap year, English Teaching Abroad, India, Test on November 22, 2014 by lievelee. Last Friday was children’s day in India, a day described on the internet and in the newspapers as a day of ‘fun and frolicking’ for children, celebrating the birthday of one of India’s founding fathers, Jawahar Lal Nehru. The day is marked by cultural events at schools and parades and children should be seen to be engaged in fun activities… So how better to celebrate this than with the longest ever assembly and performance at School, followed by a ‘free afternoon’ to give children the opportunity to take part in or watch parades through the towns. 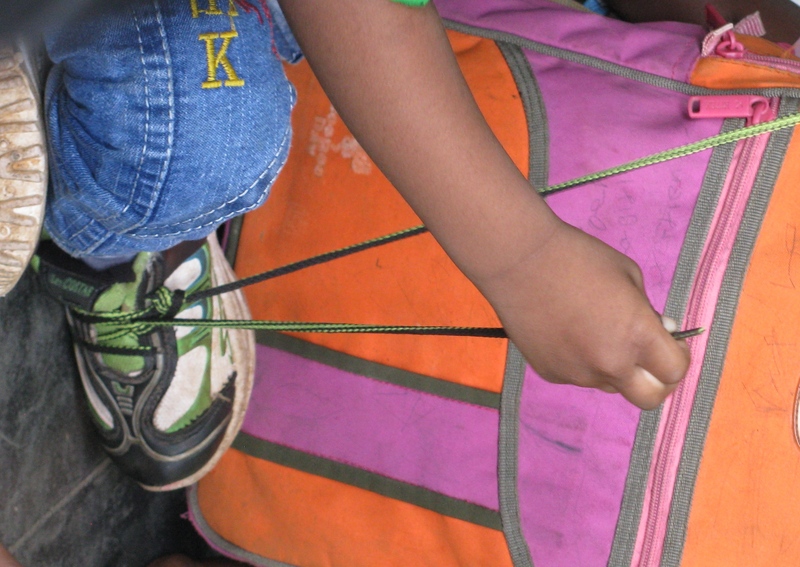 And as the children piled into the assembly hall, I was presented with a chair… at the front. Any attempts to move further to the back of the hall were craftily foiled. 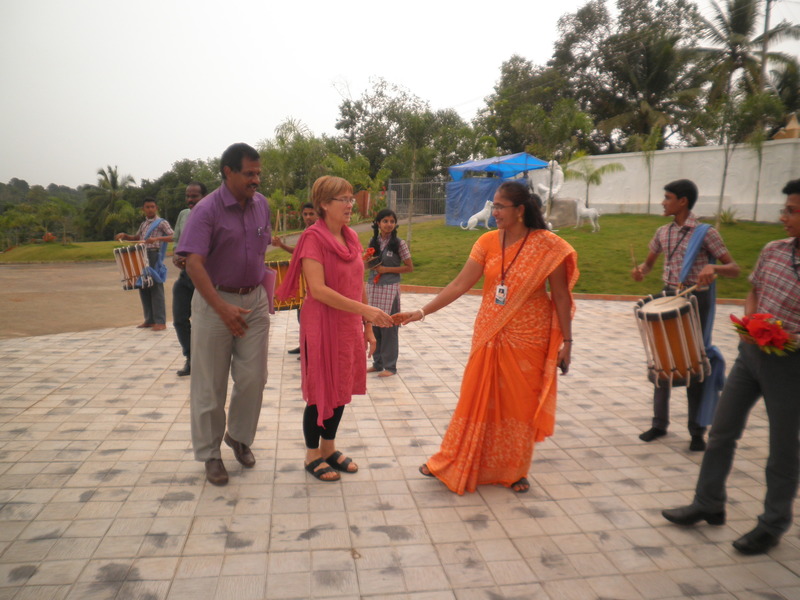 As this all happened before I met Sylvia in Kovalam, I did not yet fully grasp that my status as ‘guest of honour’ would linger for a while. 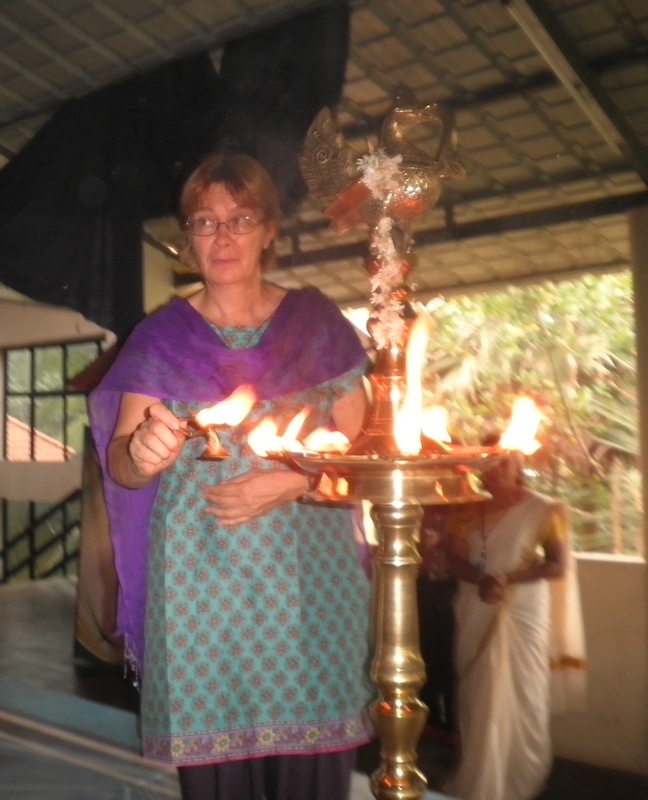 So when all the dignitaries present had to light a candle, I was also called upon and wished I had at least borrowed a sari… But I am sure nobody really noticed and if they did, they were polite enough not to mention it. checking washing or designer labels – never too young to start. Later on, having a free afternoon in town, I accidentally found out about the Children’s Parade in N., in which about 60 schools took part – it is a competition and the school with the best display wins a prize. I do not know who won, but I certainly would have given my vote to ‘Mahatma Ghandi Mini-Me’!! 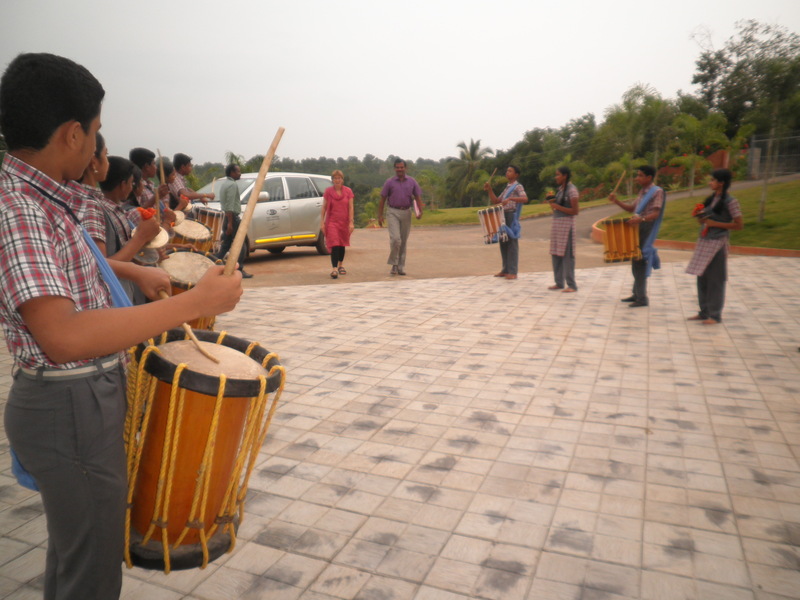 This entry was posted in adult gap year, English Teaching Abroad, India, travel on November 21, 2014 by lievelee. Getting to know the teachers a little better, I have finally tracked down some photographs of my first day at School. This was on Thursday 30th November, the day of my arrival in India after 12 hours flying with a 10 hour stopover in Mumbia in the middle of the night, hence no sleep, and a very quick lunch…. 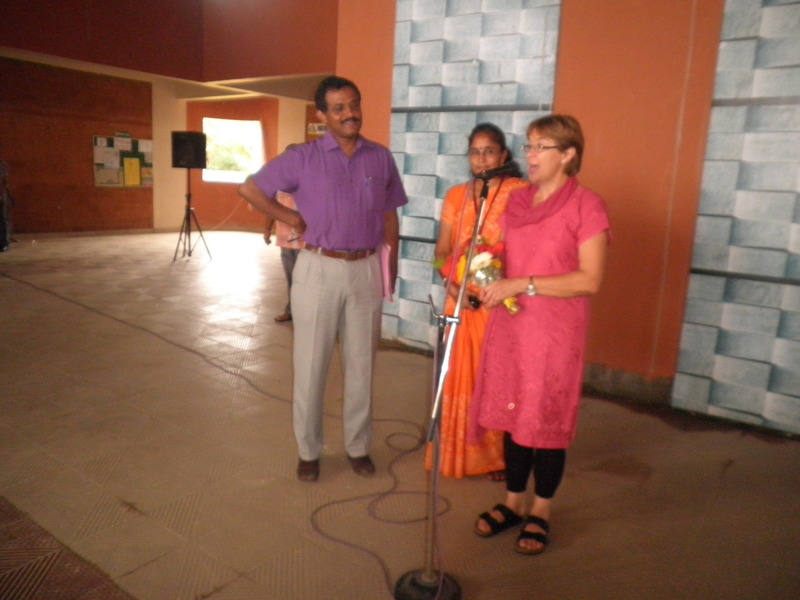 Introduction to Principal, Renuka Ma’am. Addressing teaching in special staff meeting, no warning, no preparations.. all in a day’s work! 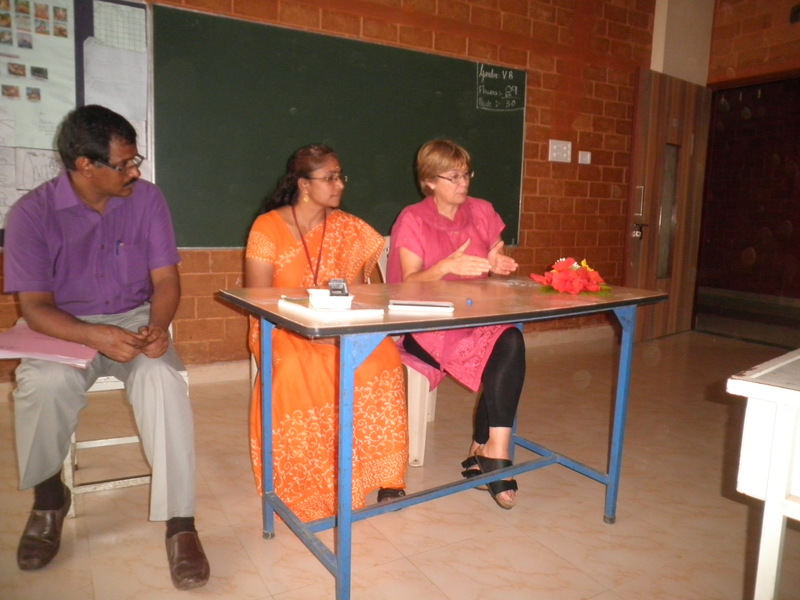 This entry was posted in adult gap year, English Teaching Abroad, India on November 20, 2014 by lievelee. Last Thursday I accompanied the teachers to what was initially described as ‘a function’, but turned out to be a wedding. I did not have the faintest idea who the bride or groom were, but as I thought that the best way to integrate was to indeed take all opportunities that come my way, I accepted the kind invitation. However, this clearly brought on an immediate wardrobe crisis. Although I had some churidars for school, cheap and cheerful, they were not exactly suitable for such a solemn occasion. And the more expensive ones I bought in England were still without sleeves and therefore a definite no-no unless I wanted to send gossiping tongues in overdrive…. With just one day’s notice, drastic action was called for and compromises were to be made. My most expensive churidar in tow (the one I was never to put sleeves in), I set off on a mission to source suitable fabric. Still having some communication difficulties and not always correctly interpreting the Indian head shake, it took a little time for the first shopkeeper to show me some colours that vaguely matched the dress. No close (let alone exact) match to be found, so I tried my luck in the next shop. As time was marching on and I still needed to have the sleeves made, I had to settle for a greenish black piece of material that would have to do. Let’s face it, with some creativity with a shawl draped over my shoulder, who would notice anyway! And at 6.30 in the evening, I found a very kind tailor who cut and made the sleeves, gave me the right colour cotton and a needle to stitch in the sleeves by hand so as not to damage the dress, and he did not want me to pay for it. Human kindness often comes at surprising times and from unexpected corners. Now the drive there and back was another story altogether and the traffic generated by wedding guests manoeuvring through the narrowest of back lanes gave another dimension to traffic jam, even to India standards. Well, some people had no choice but to use the ditch and cars and motorbikes took respite in driveways on both sides of the lane. What should have been a 2-minute journey took almost half an hour. I take my hat off to our bus driver: we got out unscathed with all wing mirrors still attached and not a single new scratch! 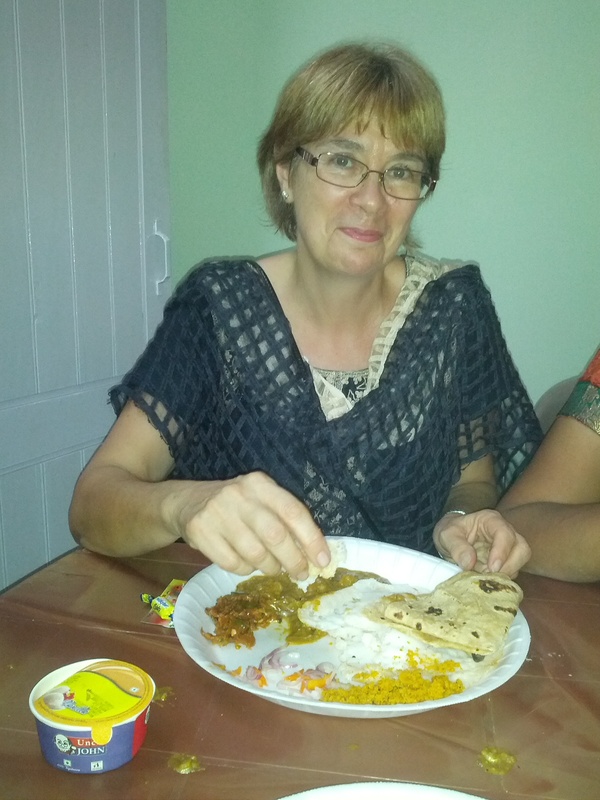 This entry was posted in adult gap year, English Teaching Abroad, India and tagged Indian weddings on November 18, 2014 by lievelee.